Josh Eggleton's fish and chips recipe is an excellent rendition of a British classic, and you can even rustle up all your favourite accompaniments at home. 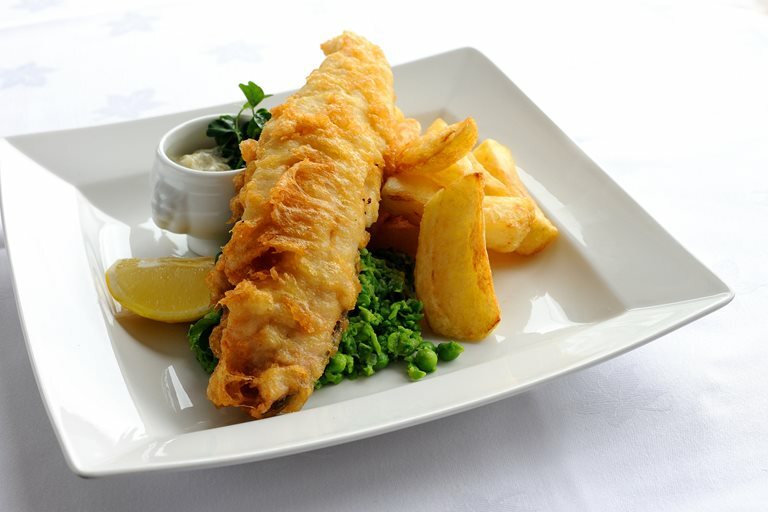 Haddock fillets are coated in a light and fluffy beer batter, then served with a homemade tartare sauce, crushed peas and, of course, chunky chips. The fish should take approx 4 minutes and 30 seconds to cook - ensure the batter is golden and crisp. Remove and drain thoroughly on kitchen paper, then keep warm in a low oven while you cook the remaining fish in the same way.